set to the 1980s hit Echo Beach. TBWA Sydney has revealed its first work on Pepsi Max since winning the account from incumbent Clemenger Sydney earlier this year. 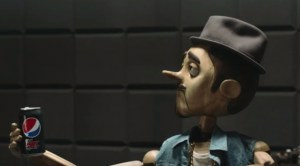 One of the new ads stars a Pinocchio-esque character who is being interograted by police about the sugar content of his beverage. The second ad shows a pirate, that looks like could be Captain Jack Sparrow's twin, sitting on the shoulder of a giant parrot and the third a talking babushka doll. TBWA Sydney was appointed as Pepsico's agency of record for its beverages portfolio which includes Pepsi and Pepsi Max in April and tasked with launching its summer campaign. 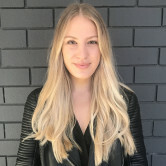 TBWA Sydney has been the agency of record for Pepsico's Gatorade for the last five years with the Pepsi Max appointment expanding its remit with the client. The decision to switch agencies came after a pitch against the long term incumbent Clemenger BBDO Sydney as well as Clemenger BBDO Melbourne. In previous years, Clemenger Sydney has pushed campaigns that centre around the Max Your Summer brand platform. Last year's campaign saw the brand celebrate summer with a nostaglic throw back set to the 1980s hit Echo Beach.